It should be widely known for Basketball fans that the Los Angeles Lakers have missed out on the NBA Playoffs, even after adding LeBron James to their team during the offseason. The once-proud franchise and owner of 16 NBA champions seem to be going through a dry spell and it seems like they aren’t quite sure yet what they need to do to get back to contention in the NBA once again. 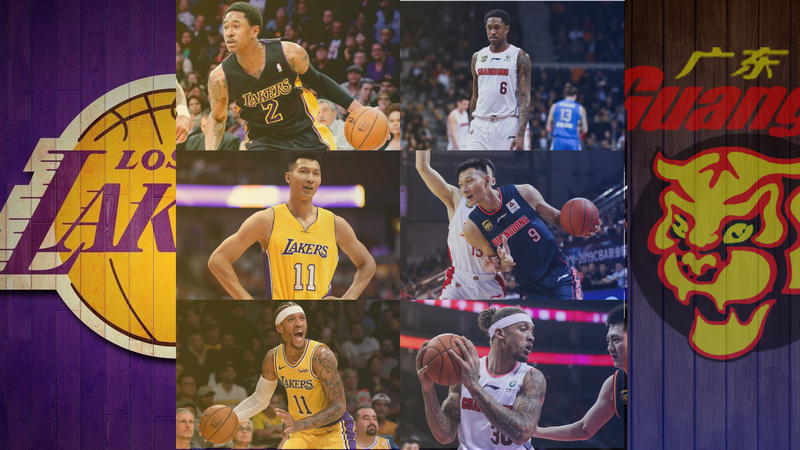 But here, we’ll instead be talking about three former players of the Purple & Gold in the NBA that have joined forces in Guangdong in a quest to end a 5-year title draught for the famed club: Michael Beasley, Marshon Brooks, and Yi Jianlian. The Guangdong Dongguan Southern Tigers are arguably the most successful franchise in CBA history. They are almost a lock to finish within Top 4 of the standings year in and year out and always a threat to go all the way. In fact, they are tied for the most CBA titles with the Bayi Rockets. The Southern Tigers’ most dominant run was a decade-span from 2003 to 2013, which saw them win 8 titles from 10 finals appearances. Despite still being among the top teams in the league, Guangdong has yet to have won a title since and have made the finals only once. There’s a slight resemblance between the Lakers and Guangdong, as teams who were at the top of the world in their leagues for a long stretch and are currently going through a rough patch. Of the three players, Michael Beasley is the one with the most recent stint with the Lakers. After bouncing around the league in the past few years, Beasley was picked up by the Lakers in the offseason shortly after the team signed LeBron James. His role was to provide a scoring punch off the bench and it didn’t quite work out after Beasley put up 7.0 points in 10.7 minutes per game with terrible efficiency. The Lakers shipped him off in a trade to the Clippers where he was nearly released immediately to become a free agent. Because of his previous success in the CBA with one MVP award in two playing seasons for the Shanghai Sharks and the Shandong Golden Stars, Beasley was quickly sought after and signed to play for the Guangdong Southern Tigers shortly after for their playoff push. And he wasn’t the only one. Around the same time, Guangdong came to an agreement with Marshon Brooks, another player with multiple seasons of NBA experience. In one of his years playing in the NBA back in 2013-2014, Brooks was traded from the Golden State Warriors to the Lakers. He had a brief 18 game stint with the Purple & Gold with 6.4 points in 12.7 minutes per contest. This is Brooks’ second round playing in the CBA and Guangdong are banking on his scoring ability to help them get the title whatever it takes. … 😝 okay, so Yi never actually played “in the NBA” with the Lakers, having only suited up for the Bucks (who drafted him with the 6th pick in the 2007 draft), the Nets, the Wizards, and the Mavs. However, he did have a recent run in the 2016 NBA Pre-season playing 6 games for the Lakers averaging 3.0 points and 2.5 boards. Yi has always been a member of Guangdong since 2002, way before he made the jump to the NBA in 2007. When he was only 19 years old, Yi was named the Finals MVP as he helped Guangdong claim a third straight title after a season of averaging 20.5 points and 9.7 rebounds per game. He made the decision to return to the CBA in 2013 with his original club and unleashed his wrath on the league. Yi went on to win 4 straight regular season MVP awards as well as another CBA title and Finals MVP trophy in 2013. Despite the individual accolades, that 2013 CBA title would be the last for Yi and for Guangdong up to today. After 5 years without a title and only one finals appearance, the team is firing all cylinders this season in hopes of snapping the streak. Guangdong have been their regular dominate selves in the regular season, absorbing only 4 losses (out of 46 games) to easily clinch the first seed in the standings. Without much surprise, the Southern Tigers are also first in the league in points (119.7), field goal shooting (52.8 percent), and three-point shooting (39.7 percent). Aside from Yi, they have players who can be considered among the top at their positions in the entire nation in wing Zhou Peng, guard Zhao Rui, and power forward Ren Junfei. Even through that immense success in the regular season, the team still pulled the trigger to replace good imports like Malcolm Delaney and Sonny Weems with Michael Beasley and Marshon Brooks heading into the playoffs. Beasley has played in 5 games for the Southern Tigers and has put up a mild line of 22.4 points, 9.8 rebounds, and 4.4 assists per game. He is currently replaced temporarily once again by Sonny Weems while Coach Du Feng is trying to figure out the best combination. Brooks has also played in 5 games with an even more absurd average line of 25.2 points, 8.0 rebounds, and 8.8 assists per competition. Yi was a candidate for the MVP award once again with 21.1 points and 9.3 boards throughout the season and though he eventually missed out, he was named the league’s Defensive Player of the Year instead. In the first two games of the playoffs, Guangdong have dominated their opponents 137-108 and 141-99 as expected. This is a case of fun coincidence as we usually see in the basketball world. These three players were shortly a part of a franchise (Lakers) who were clawing their way to get back to glory and now find themselves together fighting for a team (Guangdong Southern Tigers) who will do everything it takes to get a hold of that championship once again. So what do you think of forming these kinds of super teams right before the playoffs? Do you think Guangdong will eventually win the CBA title this year? Leave a comment to share your thoughts. 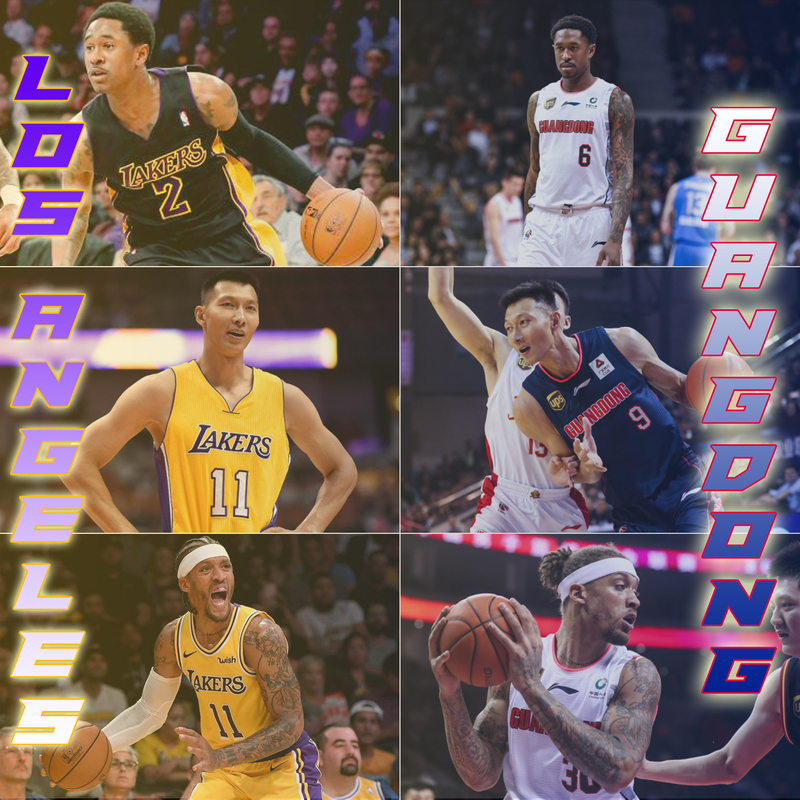 และแน่นอนก็ต้องพูดถึงยอดตำนานของ Lakers อีกคนที่อยู่ Guangdong ตอนนี้!!!! Yi Jianlian (อี้ เจี้ยนเหลียน) นั่นเอง!!!! เอาเรื่องราวในวงการบาสจีนมาเล่าสู่กันฟังอีกครั้งนะ คิดว่ายังไงกันบ้าง การรวมทีมแบบหฤโหดขนาดนี้ เป็นยังไงบ้าง ดีหรือไม่ดียังไง? คิดว่า Guangdong จะได้แชมป์ในปีนี้ไหม?